Shadow looking menacing as heck. Old vs. new. Gods and men and myth, clashing on the battleground of mortal, modern America. Are you ready? Mr. Wednesday sure is. 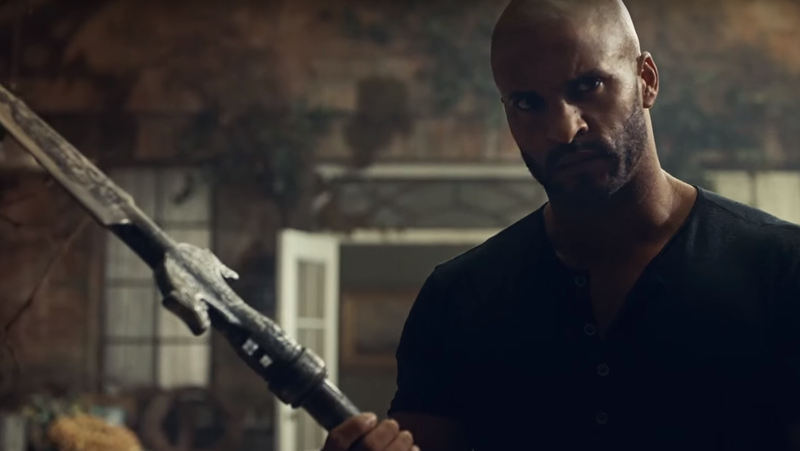 Following up on a hit first season and a… troubled production cycle, the second season of American Gods seeks to pick up where the Neil Gaiman adaptation’s first left off, following Mr. Wednesday (Ian McShane) and Shadow (Ricky Whittle) as they continue in their quest to gather allies for the coming clash, with Mr. Wednesday’s cabal of old gods facing off against the new. The trailer amps up the psychedelia and the tension, as Shadow wonders, “Did that really happen?” With gods around, you can never be sure. The second season of American Gods premieres Sunday, March 10th, on STARZ.